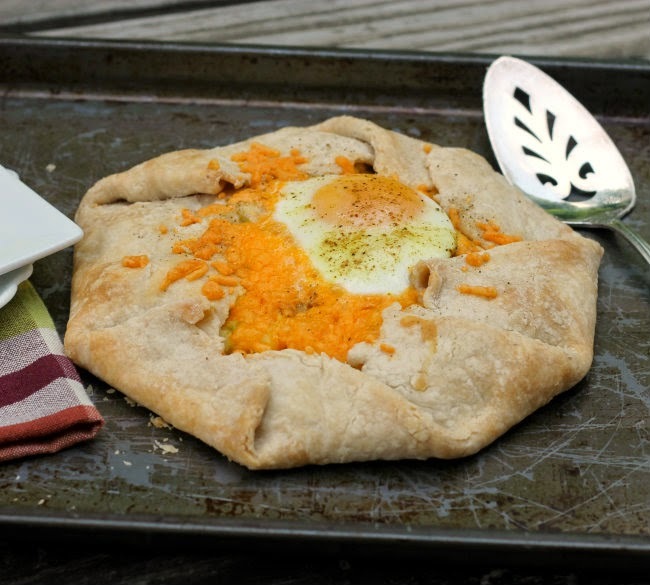 Try something new for breakfast… savory breakfast galette. I have those nights every once in a while where sleep just doesn’t want to come. I had one of those nights the other night. I laid in bed thinking of my blog and what recipes I should put on next. That is when I thought of doing a savory galette. It seems like my best ideas hit me when I am not able to sleep at night. I made this for a late breakfast on Sunday morning. I wanted the dish to be simple. The crust and the hash browns were the stars of the show, but to this I added some onion, green pepper, an egg, some ham, and I was planning on mixing some cheddar cheese into the whole mixture but I forgot to do that so I added it at the end. This is one of those recipes that you switch out things that you don’t like and add things that you would like. 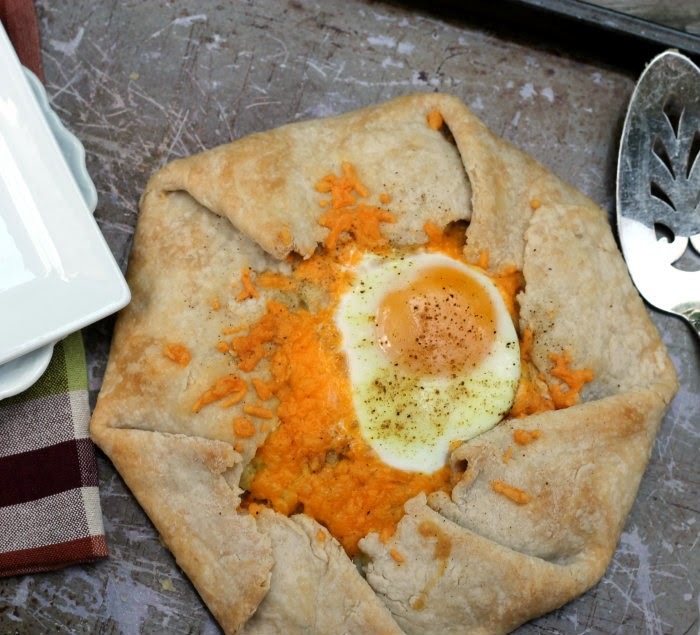 The next time I make this I will add more meat to it and maybe top it with another egg, but I definitely will mix the cheese in with the hash browns. 2. Make your pie crust or if you bought one place it on a baking sheet. 3. Mix the hash browns with the onions, green peppers, ham, cheddar cheese, and egg. Season it with salt and pepper to taste. 4. Place the hash in the center of the pie crust and bring the edges of the pie crust over the edge of the hash browns. 5. Place it in the preheated oven and bake for 20 minutes. 6. After 20 minutes remove from the oven and crack an egg on top. Sprinkle with additional salt and pepper. Sprinkle with a little celery salt for additional flavor. 7. Bake for an additional 5 to 10 minute depending on how well done you like your egg to be done. 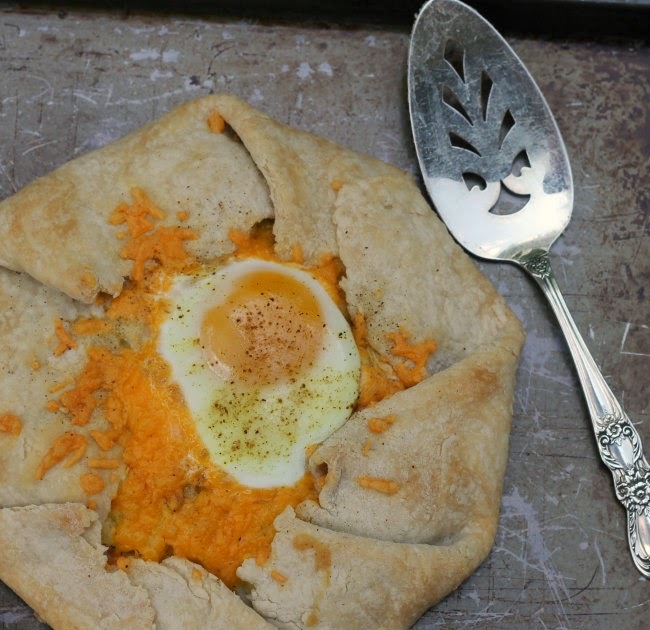 What a great breakfast idea, and I love any recipe that leaves room for changing it up based on personal tastes.